JNUEE 2019 Answer Key will be issued through online mode. 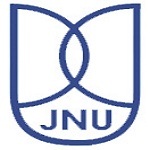 JNUEE (Jawaharlal Nehru University Entrance Exam) is a university level examination. JNUEE will be organized for admission into various UG, PG and doctoral courses by NTA. Here, we have mentioned the brief information about JNU 2019 Answer Key. Candidates can get the answer key after the two-three days of the JNU Entrance Exam. The JNUEE 2019 Answer Key will be available through online mode. With the help of the answer key, candidates can verify their marks and calculate the score. The answer key comprises of answers of the question paper. The answer key will be released only for the objective type questions. The exam conducting authority will conduct the examination on 27th, 28th, 29th & 30th, 31st May 2019. After two-three days of the examination, candidates will be able to check the JNUEE Answer Key 2019 through online mode. The JNUEE result 2019 will be declared on different dates as per the courses. After the result declaration, shortlisted candidates will be called for the Viva-voce. It will be held in June to July 2019. The merit list will be announced in June for non viva courses and on July 2019 for viva voce courses. Search the link “JNUEE 2019 Answer Key”. The Answer Key will be shown on the computer screen. Candidates can download the answer key. Take the printout of the answer key for future reference. JNUEE result 2019 will be declared in June 2019 for M.Phil & Ph.d (for viva-voce courses). The Result will be released for viva voice courses. Candidates have to undergo with the viva practice. A merit list will be prepared after the completion of viva. JNU merit list will be published in June 2019 for non viva courses and in July 2019 for viva voce courses. Candidates will be able to check their results via online mode. JNU admission process will be commenced fromJune 2019 for non viva courses and from July 2019 for viva voce courses. Students can apply for admission according to their obtained rank or merit. Candidates those will qualify in the merit list they have to register for admission. Students would have to pay the seat acceptance fee at the time of registration. Candidates will be required to carry the necessary certificates along with xerox at the time of admission. If you have any other doubt about JNUEE 2019 Answer Key, you can drop a comment in the comment box. application form date has released or not of JNU? When will release the JNU PG notification for 2018-2019?? I wanna pursue PhD from chemistry subject….Am I have to apply differtly for organic… inorganic…. physical???? Sir plese upload the question paper with answer key of 2018 biotechnology paper. Sir,I had given the entrance test for ma geography. I was checking for my result but there was no subject in result section. Sir plz tell me when will come jnu entrance result political scien entrance ??? result of ma economics 2017 has been declared?? please provide JNU MA Entrance Examination question paper of 2017 along with the answer key very soon. SIR, please tell me that when the answer key of JNUEE 2017 will provide us. It will provide shortly. We will update in our article.